Club Feroviar is a business development consultancy company activating as an integrated communication platform addressed to railway, intermodal and public transport organisations. The company delivers multidisciplinary solutions for railway companies interested in growing fast in the international railway markets. In addition, the platform is addressed for all organisations willing to be part of the partnership for building a strong, competitive and sustainable business environment. The pillars of the Club Feroviar platform are represented by business consultancy, direct business communication and cross-media communication. The Romanian Railway Industry Association – AIF, is an organization that supports and promotes public transport on rail and represents the Romanian industry at a national and international level. The Railway PRO Communication Platform is the most effective communication tool of the railway business environment, tailored for the specific needs of railway professionals and investors in order to provide them with the latest business opportunities existing on the market. 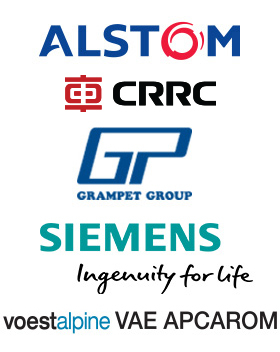 The emphasis is put on the international railway commercial sector, our dedicated readers having access to information related to the latest technologies available, ongoing and future projects as well as being a strategic source of knowledge for companies interested in identifying business associates.